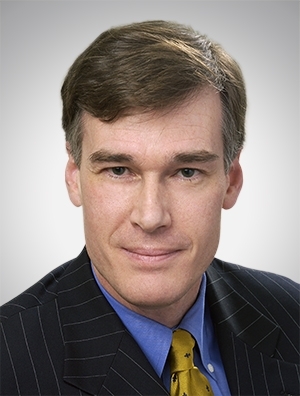 Greg Everts draws on an extensive background in litigation, government, and public policy to help clients resolve high-stakes business and regulatory disputes. He is a former investigative journalist and Congressional press secretary, legislative policy analyst, trial attorney with the U.S. Department of Justice, and legal counsel in the Office of the U.S. Vice President. He is a graduate of Michigan Law School, with a master's degree in public affairs from Princeton University. As a Justice Department trial attorney in Washington, D.C., Greg managed grand jury investigations and prosecuted white-collar criminal fraud cases. He litigated on behalf of the Federal Trade Commission, U.S. Consumer Product Safety Commission, and other federal agencies. He served at the White House, as Associate Counsel in the Office of the Vice President and as Special Counsel to the President's Crime Prevention Council. He was a member of the litigation team that defended the U.S. Food and Drug Administration's administrative rule aimed at protecting young people from tobacco. Greg has extensive experience in trial work and dispute resolution, including fast-track injunction and TRO hearings, jury and bench trials, arbitration, mediation, and settlement negotiation. He is a forceful and effective advocate with judges, juries, and mediators, and is able to speak knowledgeably and effectively with government regulators. He is a trusted advisor to public and private companies, family-held businesses, corporate executives, and in-house counsel, with a strong track record of success in litigation, regulatory proceedings, and client problem-solving. Order of the Coif. Attorney General's Honor Program, U.S. Department of Justice (1990-1993). Michigan Law Review (Book Review Editor). Woodrow School of Public and International Affairs. Group Pro Bono Award, Seventh Circuit Bar Association (May 2011) -- leader of a legal team representing two prisoners with serious mental illnesses in a lawsuit that successfully challenged conditions of solitary confinement at the Waupun (Wisconsin) Correctional Institution.